As a parent of a college student it concerns me to hear of so many reported mumps cases on various college campuses throughout the nation. In just the past week, I’ve read about cases at the following colleges: University of San Diego (5), Harvard University (13), Boston University (3), Tufts University, The University of Massachusetts Boston, Bentley University, University of Southern Maine, Indiana University (12), Butler University (21), IUPUI (3), SUNY Buffalo, University of Kentucky and University of Louisville. Now there are even reports of new cases in elementary, middle and high schools in Montana and cases expanding in Monroe County just outside of Indiana University. While there are far fewer cases of mumps these days (1,057 cases in 2015) compared to the years before the vaccine was introduced, I can’t help but wonder what is prompting these recent outbreaks. Mumps is typically so uncommon that just a few cases in one geographical area can constitute an outbreak. However, these recent outbreaks seem to be occurring mostly on college campuses, but they are not isolated to one geographic region. Are we to suspect that the behavior and living conditions among college students is contributing to the transmission of mumps among this particular age group more so than among other age groups? “High population density in communal living situations, such as dormitories and boarding schools, may provide increased opportunities for close contact or saliva exposures and higher dose exposures to mumps virus when introduced, resulting in easier transmission and higher rates of disease than might occur in other parts of society”. This seems plausible, but there are likely other factors at play as well. Could these outbreaks be the result of lower vaccine efficacy, waning immunity or a reduced herd immunity threshold? It’s common for outbreaks to occur when a disease is introduced into a community from an outside source, such as someone who returns to, or visits, the U.S. after having been infected while traveling or living abroad. However, this does not appear to be the case in these most recent outbreaks, and so we are left wondering if we could be seeing the early signs of waning immunity. The current recommendation for the MMR vaccine (which is intended to prevent measles, mumps and rubella) is an initial dose between 12-15 months of age and another between 4 and 6 years of age. According to the CDC, mumps vaccine is believed to be about 88% effective in individuals who’ve had the recommended two doses, and about 78% effective in those who received just one dose. While mumps vaccine is not as effective as some other types of vaccines, such as measles which happens to be about 97% effective, the vaccine has been effective in keeping cases to a minimum, with the exception of a few outbreaks. For example, in 2006, a multi-state mumps outbreak resulted in more than 6,500 reported cases. This resurgence predominantly affected college-aged students living in the Midwest, with outbreaks occurring on many different Midwestern college campuses. During 2009-2010, two large outbreaks occurred. One was among a close-knit religious community in New York City with 3,502 reported cases which began when an infected student returned from the U.K. where a large mumps outbreak was occurring. The other outbreak involved about 505 people on the U.S. Territory of Guam. More recently, in 2011-2013, there were several smaller mumps outbreaks on college campuses in California, Virginia and Maryland. However, these had very limited spread and didn’t seem to result in high case counts for those years. Perhaps this is what we are seeing now; small isolated mumps cases with limited spread. But in looking more closely at the number of cases per year, we may also be at the beginning of an upward trend with 1,223 in 2014, and 1,057 in 2015. As of March 4, 2016 the CDC has reported about 250 cases. But with all these college outbreaks so early in the year, how high will the numbers go by the end of 2016? There is another concern related to these college cases. Some of the news reports have noted that these outbreaks involve vaccinated individuals. This is not to say that unvaccinated individuals are not getting mumps, because they can, and they are. This also doesn’t suggest that vaccinated individuals are more likely to get mumps, because they aren’t. It’s just a simple matter of numbers. There are just more vaccinated individuals than unvaccinated individuals, so it mathematically more probable that when outbreaks occur they hit those with low or no immunity. This includes all the unvaccinated individuals, as well as a small percentage of vaccinated individuals. The questions that are raised pertain more to waning immunity among those vaccinated and the herd immunity threshold. Even though mumps vaccine isn’t 100% effective, it remains the best way to prevent an infection. We know that the second dose of MMR (the measles, mumps and rubella vaccine) is recommended to produce immunity in those who did not respond to the first dose. Unfortunately, studies also show that a very small percentage of people may not be protected even after a second dose. Since we know that some vaccinated individuals will not confer immunity, and some conferred immunity will wane over time, we must recognize that a portion of the vaccinated population may not have adequate immunity to mumps by the time they are young adults. If we factor in the people who were never vaccinated, either because they had medical contraindications, or because they simply refused the vaccine, we see that there is a percentage of the population that remains at risk to disease. If that percentage drops below the herd immunity threshold, which for mumps is suggested to be between 88%-92% than we can expect outbreaks. Therefore, we need to examine if this is what is happening, or if the herd immunity threshold actually needs to be higher than previously suggested? Another consideration is that these outbreaks are, in part, an unfortunate result of the vaccine’s success. We know that successful immunization programs work to reduce the wild strain of the disease, but we also know that natural exposure can help to boost immunity among the general population. Here are two explanations offered in The Journal of Infectious Diseases. A review of available literature shows that these mumps outbreaks have been receiving a fair amount of attention recently. If we continue to see additional outbreaks, I believe we will be hearing more about the need to investigate all possible causes and potential solutions. While mumps is usually a mild disease, the virus does cause salivary glands to become swollen and tender on one or both sides of the face. Other symptoms include fever, headache, muscle aches, tiredness and loss of appetite that can last up to 10 days. In addition, about one out of every four teenage or adult men who get mumps will develop a painful swelling of the testicles, and in rare cases this can lead to sterility. Mumps can also cause rare complications such as meningitis (swelling of the brain and spinal cord) and deafness. While it is expected that most people in the U.S. will recover well, there is still reason to expect the vaccine to prevent large numbers of cases and outbreaks from occurring. Right now, the best way to prevent mumps is to vaccinate yourself and your family and encourage others to do the same. You may also want to advise your college student not to swap spit with anyone or they run the risk of suffering an uncomfortable illness and a likely quarantine. It’s unlikely this parental advice will be well received, but it couldn’t hurt. Thank you! This is very helpful. As a child I got mumps twice, the second time was then there was a mumps epidemic in 1968. Even getting the disease does not provide “perfect” immunity, especially if one is continually exposed to the virus in the environment. Like in the close quarters of a college campus and my large baby boomer fourth grade classroom. One should not expect the vaccine to provide better immunity than the actual wild virus. It is better to make sure as many are vaccinated as possible. On a related note: a few years ago my youngest applied to the University of California in Berkeley. 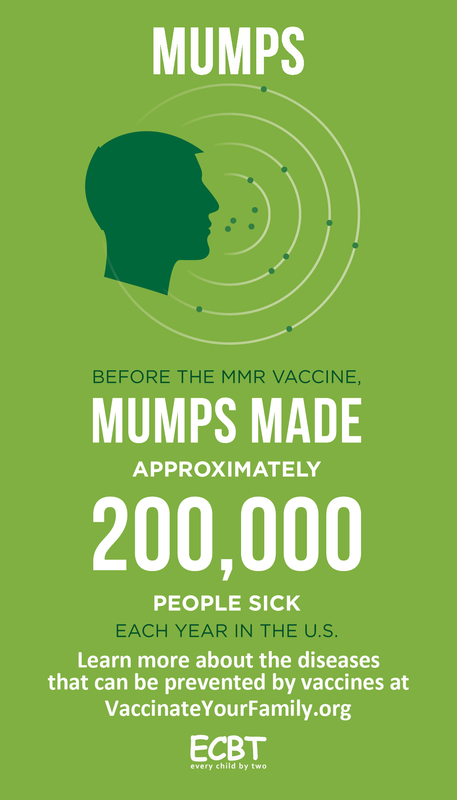 Since there has been a mumps outbreak there, I was planning to get the child a third MMR dose. She was not accepted. I had MMR titers drawn just last week. Even though I am a baby boomer, had most of the diseases (and had several MMRs), I have never shown immunity to mumps or measles (fortunately, rubella immunity stuck). Sadly, my record is holding true so I’ll be heading to the MD office soon to get my nth MMR…. So if you have never shown immunity to mumps or measles and you have titers for rubella, why are you going to get your MMR? It seems like an unnecessary risk. Deb, how is it a risk to attempt to temporarily boost her immunity to two diseases that are presently circulating in the population? Do, please, bring in some PubMed indexed studies by reputable qualified researchers that the MMR vaccine causes more harm than measles or mumps. Plus the “nth” time may actually work as our immune system changes with age. Or better yet, encourage all who can get the MMR to do so, that way the community’s immunity against measles and mumps is strengthened — and Dawn is better protected. @Deb: I’m getting the MMR because of the reasons mentioned by Chris. There is measles and mumps in the population, either near me or places I will be going to – IN the USA – in the next several months. Even if it’s just a temporary boost, I’d rather do that than take the risk of contracting the disease. If it hasn’t worked for you before several times, I doubt it will create the antibodies needed even for a temporary boost. For whatever reason it’s not effective for you. In your case the vaccine is not worth the risk of injury or bad health risks. Just my two cents. Again, what are those risks? Are you implying that the MMR can cause autism in a middle aged woman? Please provide the PubMed indexed studies by reputable qualified researchers that outline those risks, and compare them to the risks of getting either mumps or measles (both of which are now circulating in the population due to less than optimum vaccine levels). By the way, a little over a year ago I an MMR vaccine. I am at the age group that is just young enough to have not gotten measles and if I had a vaccine it may have been one of the less effective ones during the early 1960s. Since my mother died forty five years ago, and my dad is pretty clueless about our medical history… and we were going to visit an area where there had been measles outbreaks — I got one just in case. This almost sixty year old woman did not lose language and become autistic. In short nothing happened, and the vaccine is literally just a little prick on the skin with a teeny tiny needle. I did not feel a thing. There is a risk of injury with every single vaccine given. Not necessarily autism, there are many possible outcomes. Also, there are many studies showing that vaccines can be contributing factors to many auto-immune diseases. Implying there are no risks when it comes to vaccines is just plain silly. Again, post the PubMed indexed studies by reputable qualified researchers outlying how the MMR poses greater risk than measles and mumps, two diseases that are currently circulating in the population. Make sure they are specific to the MMR vaccine currently being used in the USA (other countries have different variations). You claim there are studies, but you have not provided any citations. Please, are you denying that vaccine’s come with risks? Yes or no? Simple question. Based on Mi Dawn’s specific situation (she does not get immunity from vaccine) she shouldn’t risk the vaccine. My opinion. Please are you denying that mumps and measles comes with risks? Yes or no? Simple question. Lack of association between childhood immunizations and encephalitis in California, 1998-2008. Int J Epidemiol. 2007 Dec;36(6):1334-48.
Review of the effect of measles vaccination on the epidemiology of SSPE. Pediatr Infect Dis J. 2006 Sep;25(9):768-73. Encephalopathy after whole-cell pertussis or measles vaccination: lack of evidence for a causal association in a retrospective case-control study. West J Med. 1996 Jul-Aug;165(1-2):20-5. Pediatric hospital admissions for measles. Lessons from the 1990 epidemic. Your opinion based on what? Those studies you refuse to cite? JAMA. 2016 Mar 15;315(11):1149-58. doi: 10.1001/jama.2016.1353. Association Between Vaccine Refusal and Vaccine-Preventable Diseases in the United States: A Review of Measles and Pertussis. Now, give us the PubMed indexed studies by reputable qualified researchers that the MMR vaccine has more risk than measles and mumps, and the latter, which you can see from the above article by Ms. Vara, is infecting college students and others. Are there risks from vaccines? Of course; but compared to what? As an analogy, in a minor fender bender there is a minuscule risk that my seat belt could bruise my kidney, so, to avoid this, should I stop wearing my seat belt? The risks from the various “childhood” diseases are real, sometimes quite serious for children, and, often, more serious for adults. As the short list of studies, from a much larger number of similar studies, given by Chris shows, many of the alleged risks have been shown NOT to be true. However, there are numerous minor trivial risks, e.g. temporary fever and a few rare serious risks. While we no longer use the oral polio vaccine in the US, the risk for actually causing polio was up to 6 per million; but the risk of polio without the vaccine was more than a thousand-fold greater. Just to be clear, the current killed vaccine does NOT risk getting polio from it. Chris is absolutely right in challenging Dawn to produce actual peer-reviewed studies and not just one as even well-done peer-reviewed studies are subject to influence of unknown, uncontrolled factors, which is why science requires several studies. In the final episode of the new series Cosmos, Neil deGrasse Tyson says: “Just because you believe something doesn’t make it true.” Seems to apply to Dawn and others like her. You seem to be changing the topic and making many assumptions on my views. Did I deny that mumps and measles come with risks? No I didn’t, and I never eluded that they don’t come with risks. You on the other hand implied that there are no risks with vaccines, specifically when you kept asking “again what are those risks?” That is why I asked you the simple question, yes or no? Now you are asking me to prove that the MMR vaccine has more risks than the measles, mumps and rubella. Again, I never made such a statement. I have been talking specifically about MI Dawn’s situation and you are going off on all sorts of different paths. Regarding MI Dawn, he/she has been vaccinated with the MMR many times and has yet to show any immunity. He/she has titters for rubella, so covered. My question again, why should MI Dawn get another MMR vaccination when obviously it is not working, and knowing that there are potential risks with vaccines? It doesn’t make any sense to me. Chris,if you can’t talk about this without bringing in straw-man topics, please don’t bother replying. Same to you. Why don’t you go back and actually read my comments before going off. @Deb: You keep ignoring what Chris is saying. She is saying that there ARE risks to the vaccine, but compared to the diseases, they are minimal. Not that they don’t exist. And even if I don’t develop full immunity, the temporary immunity to the vaccine (I do mount a very minimal immunity for a time after I get it, just not long term) will protect me if I am exposed. So what are the risks of the vaccine that are greater to me than the risks if I get the disease? Seriously. What do you see that I could suffer from the vaccine that’s at a greater risk then if I catch the disease? Why do you think you will develop temp immunity? Just curious. Vaccines can permanently disable, cause brain damage and kill, unpredictably, shot by shot, even if there’s a history of apparent non-reaction to previous vaccines. You mentioned an “unnecessary risk.” So I then asked you what “risk” and to “please, bring in some PubMed indexed studies by reputable qualified researchers that the MMR vaccine causes more harm than measles or mumps.” You on the other hand, tried changing the subject to my beliefs as a way to not answer that question. I have asked you at least four times to produce those studies, and yet you continued to make claims that the MMR has risks…. but have refused to tell us what they are and provide verifiable evidence for those claims. It is all about relative risk, the MMR is known to cause one serious side effect out of a million doses. You keep telling Dawn that she should not risk getting the MMR vaccine, but the only “evidence” you provide is your “opinion.” Do you seriously think we are going to take medical advice based on just the opinion of an Internet stranger who will not even answer a simple question? So again, I am going ask you to please provide the PubMed indexed studies that show the present American MMR carries more risk than measles and mumps, two very serious diseases that are now circulating in the USA. Again, please provide the PubMed indexed studies the show the present MMR vaccine carries more risk than measles and mumps. Did the MMR put seventeen people in the hospital last year? That is how many people needed hospitalization for the Disney measles outbreak a year ago. Do you always take everything out of context? This statement was based on MI Dawns specific situation and you know it. What evidence do I need to provide? MI Dawn stated she has no immunity. So you want me to post evidence that vaccines can injure? Because those are the only two things I am discussing, you know MI Dawn’s specific circumstances. Now prove it for the MMR vaccine, which is the one under discussion because the above article is about mumps. Not by your normal argument by assertion, but by posting the PubMed indexed studies by reputable qualified researchers that the MMR vaccine causes more harm than the two diseases that are presently circulating: measles and mumps. The discussion is not about Dawn, it is about you making claims and not providing anything other than our “opinion.” Well, you need to back up that opinion or just stop telling Dawn what to do. Essentially, stop giving unsolicited and unsupported medical advice to anyone. The conversation has always been about Dawn but it seems you have no reading comprehension skills. I never claimed anything about vaccine risk vs disease risk, so quit asking me to prove it. Again, if Dawn is not getting immunity from the vaccine then why bother to get it since there are risks to vaccines? I’ll assume because of your questioning that you believe there are no risks with vaccines and that is why you are having such a hard time with this. I have to assume because you have never answered the direct question, and your questions are based on the difference between vaccine risk vs disease risk, which is no the case here. What unsupported advice am i giving? Vaccines do injure and that is a FACT. You gave Dawn medical advice, but refused to back it up it with any kind of evidence. You are making a claim, you need to provide evidence for that claim. I have asked for the PubMed indexed studies by reputable qualified researchers on those risks, yet you have refused to answer. And you accused me of having reading comprehension issues? I even linked to studies, and to websites that showed what the real vaccine risks are, and yet you make up stuff out of thin air of what you think I believe. Here is a hint: the words that are written in blue letters are URL links. Hover your mouse over the blue words, then little arrow will turn into a little hand, then click the button on your mouse. It will take you to another webpage, read what they say. I have posted several on the risks of the diseases, and at least one on the risk of the MMR vaccine. Prove it. Prove it for the MMR vaccine. Prove it by posting the PubMed indexed studies by reputable qualified researchers on those injuries. Prove it by comparing those injuries with the ones from measles and mumps. In your case the vaccine is not worth the risk of injury or bad health risks. Just my two cents. Are you her doctor? Have you examined her and checked her test results? Do you even care about the relative risks? Notice how I started with “in your case” that’s because we are specifically talking about her/him. Why on earth do I need to be a Doctor to point out that he/she has not gotten immunity from the vaccine after several attempts in the past (his/her own words) and that there are risks to vaccines? Both statements are FACT and do not need to be proven. Chris, I think Joel was actually talking to you when he quoted, “Just because you believe something doesn’t make it true.” You can believe that there are no risks with vaccines but that doesn’t make it true. Do your research before making such statements. Chris doesn’t believe that there are any risks with vaccines. Chris…. “Prove it. Prove it for the MMR vaccine. Seriously, you seem to have reading issues. You obviously have not figured how to click on hyperlinks. It it time to ignore you. Is that right Chris? I am the one keeping it simple, but since simple doesn’t work for your agenda, you will just ignore and provide poetry. Go gettem’ girl. BTW Chris I can click on hyperlinks (the ones you provided) that show risks to vaccines, and yet you keep asking me to prove there are risks. I must be living in the twilight zone. Yawn. Simple does not work because the non-Htrae world is a bit more complicated. If you fail to provide the requested data after half a dozen requests, you are then identified as close minded resident under a bridge on Htrae. Deb seems to have a hard time understanding that vaccines, while they do carry a risk, that risk is extremely small, especially when compared to the serious side effects that can occur with the diseases they prevent. In most cases, it is literally a 1 in 1 million chance…versus disease which can harm and kill in as many as 1 in 1000 (for measles, for instance) or 1 in 10, for something like Meningitis. So MI Dawn should take the risk even though the vaccine provides no immunity for him/her. Doesn’t make any logical sense. I agree, Lawrence. I’d rather take the miniscule risk of the vaccine over the large risk from the disease. Deb: as I’ve noted above, yes, it *does* protect me for the short term. Just not for the long term. And I’m OK with that. At my age, I’d rather get the vaccine every few years than risk getting the disease when the risks of the side effects of the disease are greater. How do you know it protects you for the short term? Because I get my titers drawn, Deb. That works. How long does it take to kick in? I am curious. In the past, I’d try to get back to be testing within a week or two, but I didn’t always make it – and I rarely do it now because I don’t want to pay for it, since a pattern has been established over the years. Generally, I’ll have Great/good/fair antibodies for a year or so, then they drop off really fast. I tend to get tested only when I get worried, these days, though. And since there are outbreaks where I’ll be going in the summer and fall, I got tested.